Many dog groomers starting out are unsure whether they should build their brand or buy into an existing business. While a dedicated groomer can potentially transform their passion into a successful new business, it is essential to understand the many hurdles that may be in the way, including coming up with the right business model and venue, connecting with your market effectively and setting yourself apart from any existing competition. If you’d like to own a small business and enjoy the benefits that come from joining a well-established brand like Aussie Pooch Mobile Dog Wash, you may be interested in learning more about how you could buy your dog grooming franchise in Australia. It’s no secret that Aussies love splurging on their pets on everything from personalized dog beds to yummy doggie baked goods for their birthday. Professional grooming services are no exception, with thousands of Australians each year treating their beloved pets to some much-appreciated primping and pampering sessions with trained dog groomers. This market is also a highly competitive one and standing out can be a challenge. When you buy a dog wash business for sale in Australia from Aussie Pooch Mobile Dog Wash, you will be able to leverage the power of one of Australia’s most trusted dog grooming brands and connect that much more easily with potential customers in your area. By entering our franchise network, you will be fully trained and licensed to perform high-quality dog wash services and sell our wide range of pet care products that help dog owners support the well-being and happiness of their pets. You will also be able to work from a specialized mobile dog washing unit, complete with clear weather-proof sides that allow passers-by to see all the fun you’re having while delivering exceptional grooming and care to any number of loveable canine friends—a great way to promote your business with no extra effort or expense. 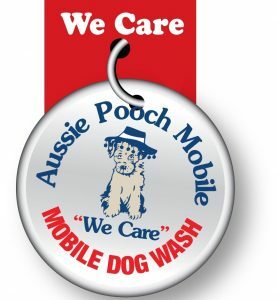 Aussie Pooch Mobile Dog Wash is dedicated to providing caring, professional dog grooming services to communities throughout Australia. Because of this, we offer franchise opportunities across the country that allow potential owners and operators to work locally doing what they love. If you agree that man’s best friend deserves only the very best care, you’re welcome to join our team and get started by buying a dog grooming business for sale at any Australia-based locale. If you’re not already professionally-trained as a groomer, we will provide you with everything you need to get started providing top-notch quality baths, trims, and other grooming procedures. Even veteran dog groomers can benefit from learning from our team of dog washing professionals and can receive help with any certification needs necessary for their area. When you join our dog grooming franchise in Australia, you will receive ongoing training and business support throughout your journey with Aussie Pooch, allowing you to further your career and perfect your skills. For more information on getting started with a new dog grooming business, please feel free to contact Aussie Pooch Mobile Dog Wash to learn more.